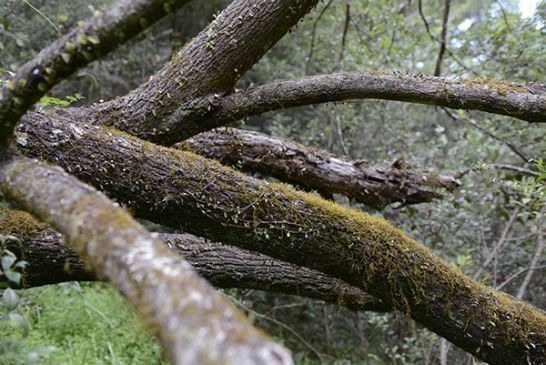 Secrets of the Special Areas is a photographic journey into the protected lands surrounding our water supply dams. These areas not only help protect our drinking water but also provide a haven for native plants and animals including many endangered species. Our photographer and catchment officers trekked across knife-edge escarpments, through rainforests and wetlands, saw all sorts of birds and insects, and captured images that celebrate the beauty and diversity of the Warragamba and Metropolitan catchments. What's so Special about the Special Areas? This exhibition features 50 photographs taken in WaterNSW's Special Areas – the important lands that protect Greater Sydney's water supplies. The photos were taken over five days in March 2013, and involved traversing over 600km of fire-trails under the guidance of three senior catchment officers, who collectively have over 100 years of experience working in the Special Areas. 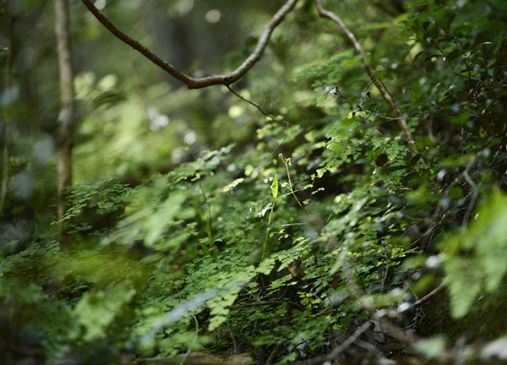 The images celebrate the beauty, diversity and conservation values of the Warragamba and Metropolitan catchments. White cap mushrooms are one of many species of fungi that thrive in the protected Special Areas around Sydney's water supply dams. 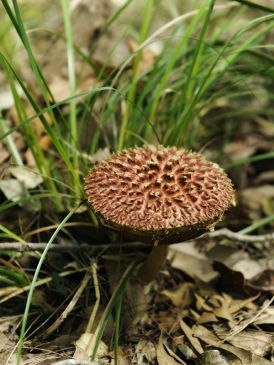 Red knobbly mushrooms are one of many fungi species which flourish in the protected Special Areas around Sydney's water supply dams. 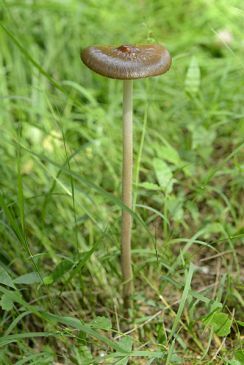 Tall brown mushrooms are one of the many fungi species found in the protected Special Areas around Sydney's water supply dams. 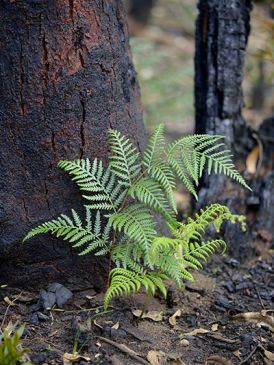 A fern sprouts from the blackened soil after a bushfire, part of the natural cycle of bush regeneration. 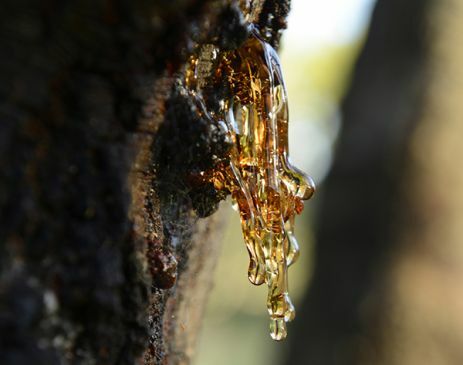 Sap from a wattle tree that had been nibbled by a kangaroo at Yerranderie in the Warrabamba catchment. Wongawilli Creek, a tributary of the Cordeaux River, flows through the protected Metropolitan Special Area on the Illawarra Plateau south of Sydney. 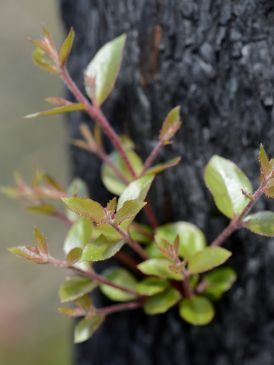 New shoots quickly sprout on Australian native trees after bushfires, part of the natural cycle of bush regeneration. 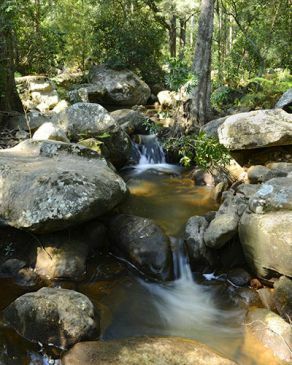 Waterfall Creek in the Kedumba Valley is part of the protected Warragamba catchment that supplies 70% of Sydney's drinking water. Blue Mountains-based photographer Adam Hollingworth has worked professionally for 20 years. Adam started his career with Fairfax Regional Newspapers on The Penrith Star newspaper before graduating to News Ltd at the Daily Telegraph and Australian. In 1999 Adam became a freelance photographer and a weekly contributor to The Sun-Herald and Sydney Morning Herald. He has covered major news and sporting events in metropolitan and regional Australia and worked internationally for The Guardian newspaper and The Wall Street Journal. Adam has exhibited nationally and been a finalist in the Head On portrait prize and runner up in The Olive Cotton Award. Cedar Creek is one of the many scenic waterways in the Warragamba catchment that eventually flow into Lake Burragorang, one of the world's largest domestic water supply dams. 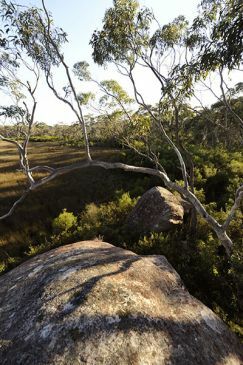 Rock Arch Swamp is a pristine plateau wetland that forms part of the Upper Nepean catchment south of Sydney. The swamp is protected as part of the Metropolitan Special Area. 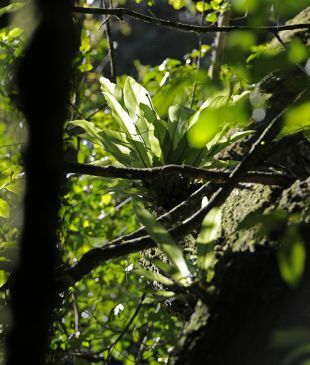 A bird's nest fern found in a rainforest gully near Lake Cordeaux, protected by the Metropolitan Special Area. 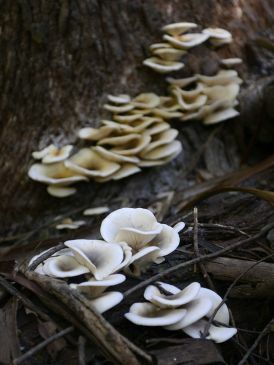 Clusters of white ear mushrooms are one of many fungi species which flourish in the protected Special Areas around Sydney's water supply dams. A fallen tree on the banks of the Coxs River in the Warragamba catchment hosts a myriad of life. 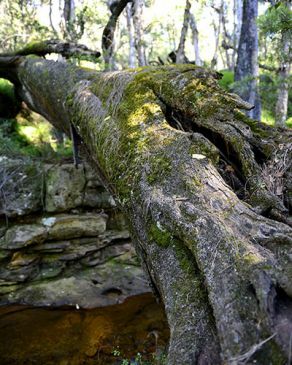 A fallen tree becomes a haven for new life at Butcher's Creek in the Warragamba catchment. The Special Areas act as buffer zones to protect water quality around Sydney's water supply dams. We are lucky to have access to some of the cleanest drinking water in the world. This is because when the water supply systems for Greater Sydney were designed over 100 years ago the authorities had the foresight to create special protection areas around each of the water storages. These protection zones, known as Special Areas, limit the types of access and activities in these parts of the catchments, which helps keep pollutants and contaminants out of our water supply. 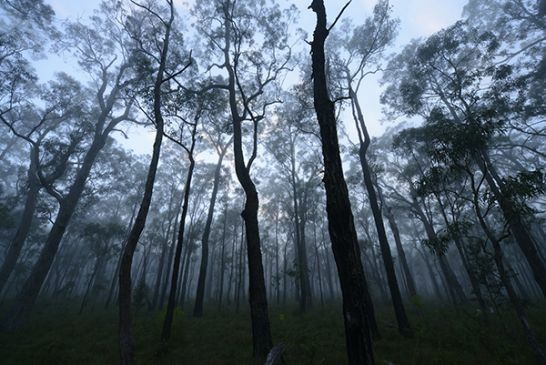 One of the beautiful blue gum forests in the Warragamba catchment. 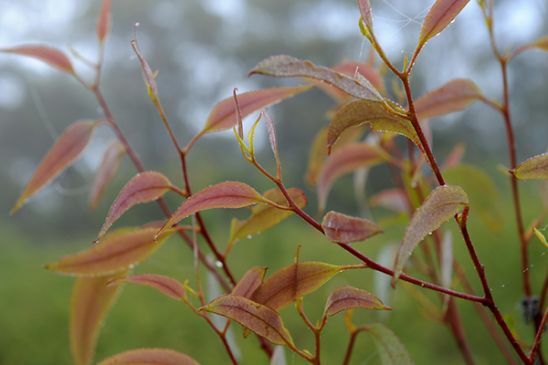 The Warragamba Special Area has the highest diversity of eucalypts found anywhere in the world. 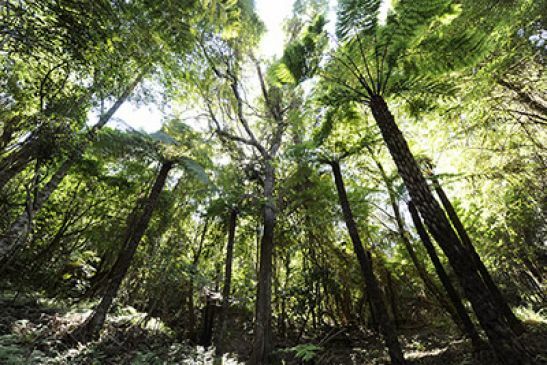 A tree fern flourishes in a rainforest gully near Cordeaux Dam, one of four dams in the Upper Nepean catchment protected by the Metropolitan Special Area. The rock formation that gives Rock Arch Swamp its name. 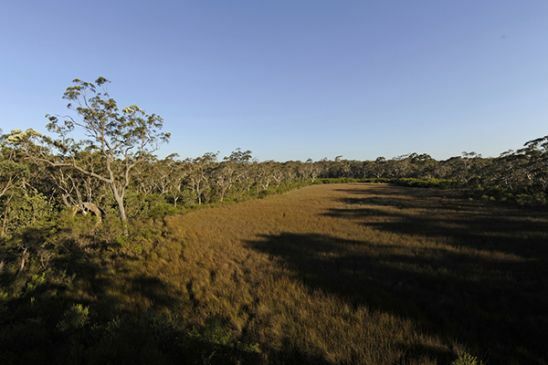 The plateau wetland, near Lake Avon and Lake Cataract on the Illawarra Plateau south of Sydney, is protected by the Metropolitan Special Area. Schedule 1 Special Areas are the lands immediately around the Warragamba, Metropolitan, Woronora, Wingecarribee and Blue Mountains water storages. To protect water quality entry is not generally allowed to the Schedule 1 Special Areas, on foot or by vehicle, including cars, motorcycles, bicycles and horses. 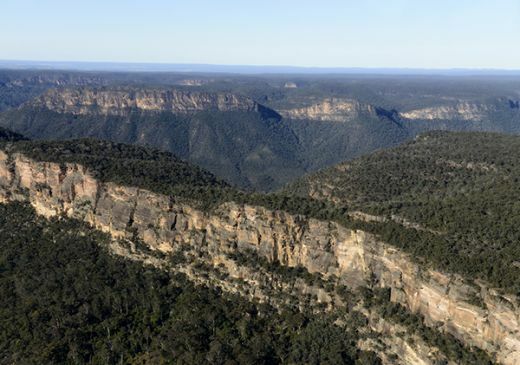 The Burragorang Valley is part of the Warragamba Special Area, which protects the water that flows into Warragamba Dam and becomes part of Sydney's drinking water. 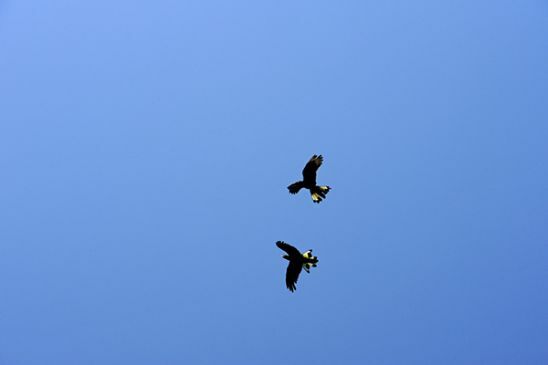 Black cockatoos in flight over Cordeaux Dam on the Illawarra Plateau south of Sydney. The Metropolitan Special Area is a haven for native birds and animals, having been protected from human activity for over 120 years. Early morning mist along Avon Dam Road in the Metropolitan Special Area. Schedule 2 Special Areas form a second tier buffer zone around Lake Burragorang in the Warragamba catchment. 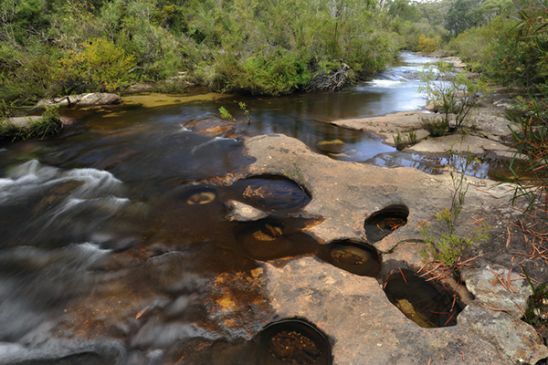 Schedule 2 lands also include the Shoalhaven and Fitzroy Falls Special Areas. No vehicles, including cars, motorcycles, bicycles and horses, are permitted in Schedule 2 lands. Bushwalking and camping is allowed. For more information on what you can and can't do in the Special Areas request a copy of the Special Areas map (also available on the publications page) or visit the Managing Special Areas web page. 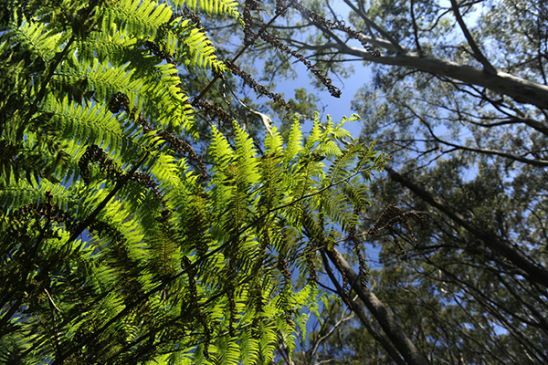 Native species flourish in the protected Metropolitan Special Area south of Sydney. This image was taken at Rock Arch Swamp near Lake Avon and Lake Cataract. 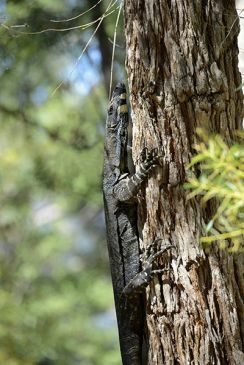 A goanna climbs a tree in the Warragamba Special Area. 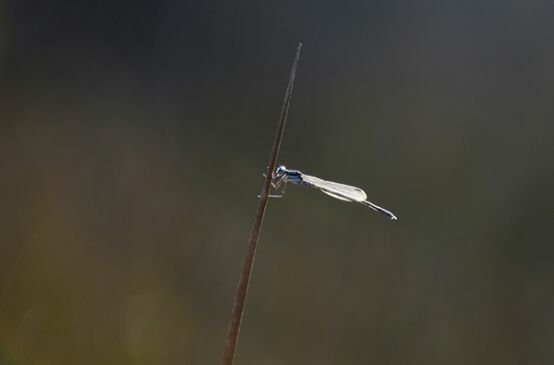 These protected areas around Sydney's water supply dams not only protect water quality but also provide a haven for native animals and plants. 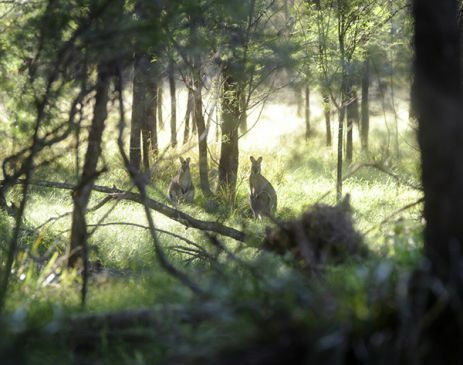 Red-necked wallabies graze in the Kedumba Valley in the Blue Mountains, part of the protected Special Area that surrounds Lake Burragorang. Lush forest undergrowth near Cedar Creek in the Warragamba catchment. 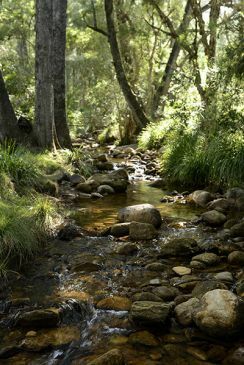 Butcher's Creek is one of many scenic streams in the Warragamba catchment that eventually flow into Lake Burragorang, the lake formed by Warragamba Dam. The Special Areas have been sealed off from major human impacts since catchment restrictions were introduced when the dams were built. 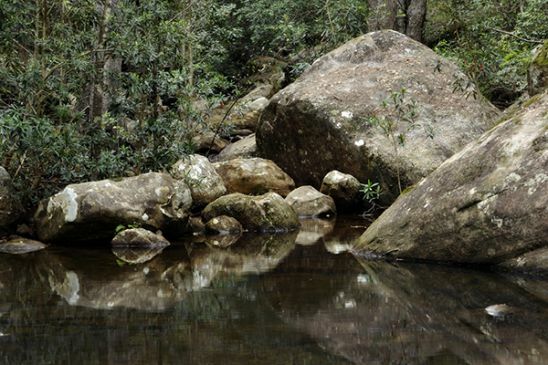 The areas have become biological treasure troves of conservation and contain some of the most varied habitats in NSW including rainforests, dry sclerophyll forests, exposed plateaus, freshwater swamps and flood plains. Animals living in the Special Areas include grey kangaroos, wallabies, echidnas, wombats, microbats, possums and an almost pure strain of dingo. The lands also provide refuge to threatened species such as brush-tailed rock wallabies, long-nosed potaroos, powerful owls, platypus, squirrel gliders, tiger quolls and koalas. 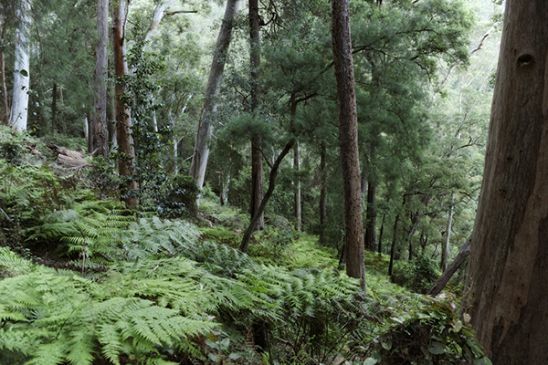 A fern forest near Cordeaux Dam, one of the Upper Nepean dams protected by the Metropolitan Special Area. 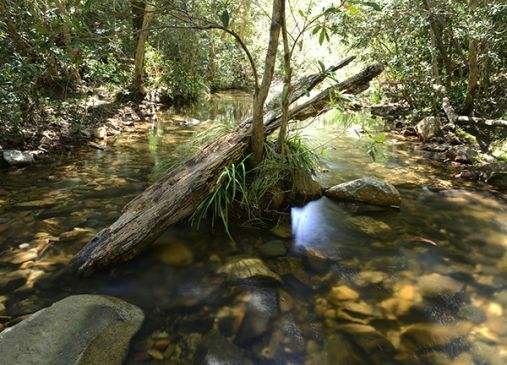 Golden Moon Creek, a tributary of the Nattai River, flows into Lake Burragorang and becomes part of Sydney's drinking water supplies. 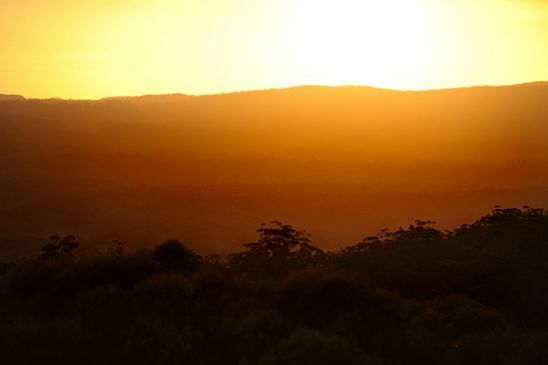 A spectacular sunset, viewed from the Avon Fire Tower in the Metropolitan Special Area south of Sydney. 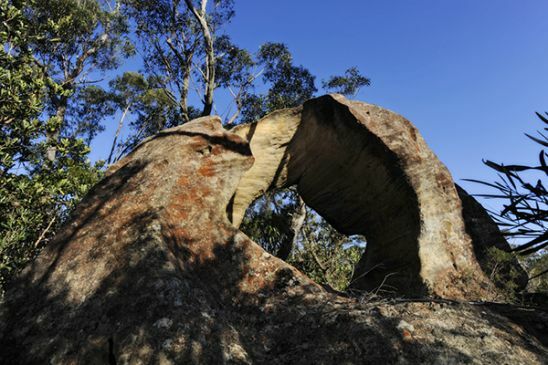 Rock Arch Swamp is a plateau wetland near Lake Avon and Lake Cataract, protected by the Metropolitan Special Area south of Sydney. 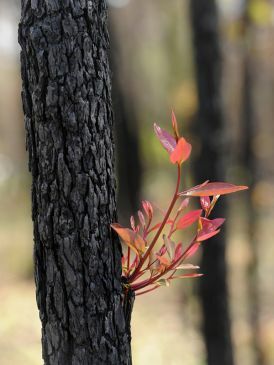 After a bushfire Australian native trees and plants have an incredible ability to regenerate, with new growth soon sprouting from blackened trunks. 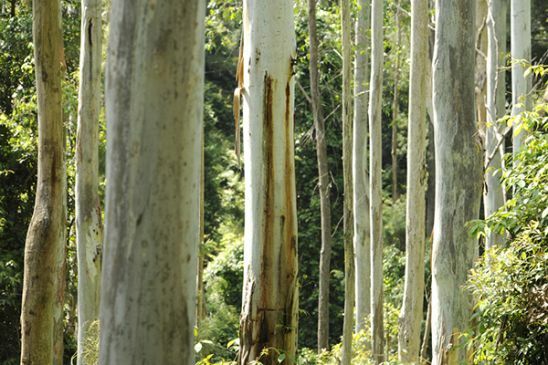 Eucalyptus trees are protected in the Special Areas around Sydney's water supply dams. These young leaves will soon grow into a mature tree. Despite being natural environments, the Special Areas don't just look after themselves. A lot of care, protection and knowledge goes into maintaining our catchment to protect the quality of our drinking water. WaterNSW is proud to have many staff who share a deep commitment and passion for the catchments. 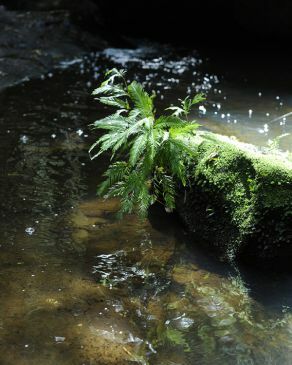 Through their knowledge, stewardship and decades of experience we strive for healthy catchments and quality water. 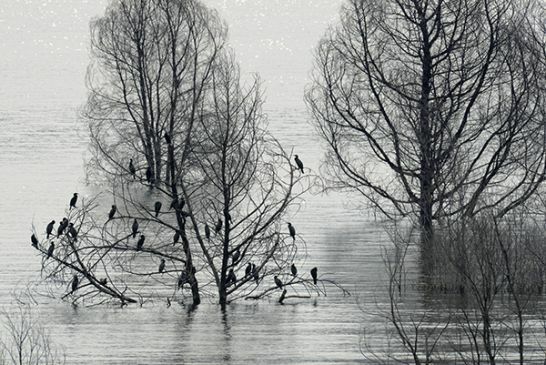 Shags roosting on a dead tree in Lake Burragorang. The Burragorang Valley was flooded when Warragamba Dam was completed in 1960, creating one of the world's largest domestic water supply dams. Sheahys Creek is part of the Warragamba catchment which flows to Lake Burragorang. Kedumba Valley in the Blue Mountains is a beautiful part of the Warragamba catchment where waters flow to Lake Burragorang.